Masutai provides professional laser cutting services with customization available for our customers! 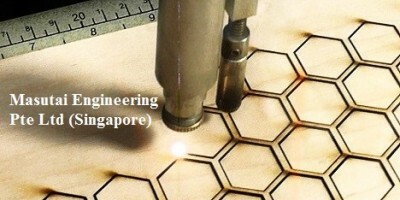 Feel free to drop us an email or contact us if you have any question regarding laser cutting services. *We do not have Wood/Paper Based material laser cutting service at the moment. We are sorry for the inconvenient. Note: For us to better identify the laser cut area. Vector line (cutting line) should be set to hairline thickness or indicate red as the colour code if there is no hairline settings available in your software. 1. Ensure construction lines are removed, all endpoints are connected. 2. Working file(s) that need to be laser cut must be scaled 1:1 (in metric unit mm). 3. Please ensure that there is no title blocks, duplicate entities or zero length entities in you drawings/artwork (No duplicate lines should be in the drawing). 4. All non-editable entities must be removed from the files provided (e.g. blocks, splines, dim styles, layers and line types). 5. File should be in 2D plan view only, no foreign format source in the background i.e. 3D or Animated files etc. 6. If your drawing/artwork do not have vector lines (cutting lines) you may send it to us, we will convert it for you.